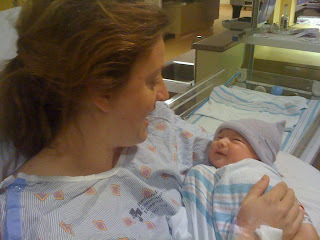 The Stewiagas: Baby Chomp is Here! We'll try to post a couple more pictures in the next few days, but for now we've got to try and get some rest. Thanks for all the prayers/positive thoughts! CONGRATULATIONS HEATHER, JOSHIE AND COLLIN! He is SO INCREDIBLY BEAUTIFUL! I am beyond words excited at this beautiful life you've created and brought into this world! Love you three so much!